Experience the mobile extension in its new design of B.E.A.T. Light Rent with innovative applications! 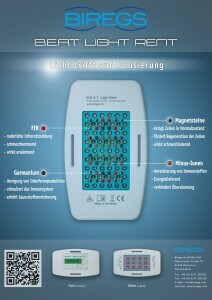 Especially for patients with regular, or even chronic pain, B.E.A.T. Light Rent is comforting to know that even outside doctors consultation hours they are well looked after. Completely in the sense of the holistic approach, this is an option to stimulate the body’s own healing powers at any time and any location. With B.E.A.T. Light Rent, your patient care extends into the living room. It enables continuation of treatment outside of your consulation hours. B.E.A.T. Light Rent combines a doctor’s indication with the patient’s desire for self-organization of the treatment intervals. This way, a professional proton resonance regulation is brought in line with the personal demands of patients to heal in their home environment. New innovations for end users! 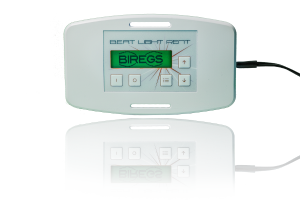 The Further and individual treatment of patients outside the doctor’s office is the beneficial focus of BEAT Light Rent. If you are an end user and interested in the device, you can have now the portable and practical B.E.A.T. 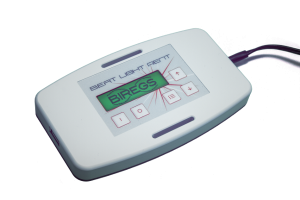 Light Rent with pre-established frequencies for your treatment at home.